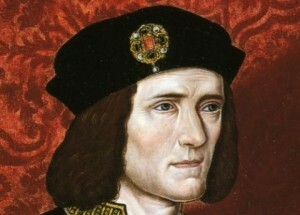 Have They Found The Body of Richard III? Archeologists from Leicester University have uncovered an intact skeleton which they believe is that of Richard III, the king whose reputation as a ruthless hunchback comes from William Shakespeare’s play. The skeleton has a deformed spine, and is at the site of Grey Friars church, where Richard was thought to have been buried after the Battle of Bosworth in 1485, where he was defeated by Henry Tudor. His grave is now underneath a council car park in Leicester. DNA tests will reveal whether he’s really the king or not – it’s an adult male, with spinal abnormalities that point to scoliosis, which would have made his right shoulder higher than his left. The skeleton also shows injuries consistent with battle. Richard III was the last of the Plantagenets, and his death a decisive one in the Wars of the Roses. 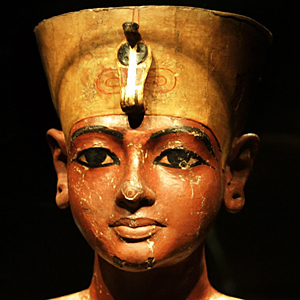 Tutankhamen’s mysterious death as a teenager may finally have been explained. The condition that cut short the Egyptian ruler’s life may also have triggered the earliest monotheistic religion, suggests a new review of his family history. Since his lavishly furnished, nearly intact tomb was discovered in 1922, the cause of Tutankhamen’s death more than 3,000 years ago has been at the center of intense debate. There have been theories of murder, leprosy, tuberculosis, malaria, sickle-cell anemia, a snake bite — even the suggestion that the young king died after a fall from his chariot.